Reversal of cervical lordosis is a frightening finding on many MRI reports and is typically an enigmatic diagnostic conclusion for patients. Unfortunately, so many doctors neglect to provide a comprehensive explanation of these cervical MRI findings, so patients turn to websites, just like this one, with questions which remain unanswered, even after paying exorbitant sums of money for professional medical care. This article will provide a descriptive overview of the lordotic curvature in the neck and why it may be lost or reversed. We will examine the causes of reversed cervical lordosis, as well as what the diagnosis means to the affected patient. The anatomy of the neck features a lordotic curvature in its typical and healthy state. 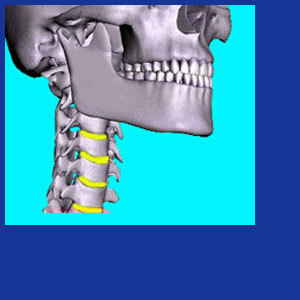 This means that the cervical region has a gentle curvature with the open end of that curve facing the rear of the body. The base and top of the curve will be further posterior than the mid point, which will be further anterior. When the lordosis is straightened, the neck becomes more upright and linear. This is more common than the next progression of atypical curvature, which is the subject of this article. Actual reversal of curvature means that part or all of the cervical spine develops a kyphotic profile, with the open end of the curve facing anteriorly. Usually, this reversal is extremely mild, but is still very abnormal. What we now see is the middle of the curve being positioned posterior to the top and bottom. In essence, picture the letter c and now turn it backwards: כ. This is the shape of a reversed cervical lordosis. The spinal curvature in the neck is constantly in flux to some degree. Scoliosis can affect the normal lordotic curvature in the neck. Cervical spondylolisthesis is a major source of reversed lordotic curvature. Severe disc pathologies can facilitate a gradual loss or reversal of cervical lordosis. Vertebral irregularities, such as wedging, can definitely contribute to lordotic alteration. Traumatic injury, including vertebral fracture, can create the ideal circumstances for a reversal of lordosis to take place. Severe neck muscle spasms can actually reshape the spinal curves, although these are usually temporary expressions and not actual structural conditions. The neck is designed to curve in order to balance the spine, absorb stress, distribute force and provide proper movement of the head. When this curvature is diminished or reversed, symptoms may result, although this is not an inherent part of any altered lordotic condition. 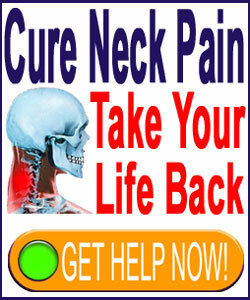 Patients may experience stiffness and tension in the neck. Pain may be present and may even be severe in rare cases. Neurological dysfunction is possible in extreme cases, since the neuroforamen might not align properly, thereby causing a cervical pinched nerve. In the worst circumstances, central spinal stenosis in the neck might affect the viability of the spinal cord, possible enacting the most dire of symptoms throughout the body. Patients will also be more prone to injury, since the normal shock absorption qualities of the typical curvature have been lost. While all these effects are certainly possible, they are not usual. In fact, a great majority of patients have minor symptoms or even no symptoms at all from mild reversed lordotic curvatures.